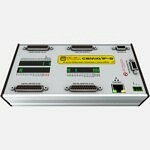 CSMIO/IP-S is a 6-axis motion controller. In combination with a PC and control software (simCNC, Mach3, Mach4) it’s an ideal system for CNC machines control. CSMIO/IP-S was designed for professionals, CNC automation manufacturers, retrofit specialists, and hobbyists, who want to equip their machine tool with efficient, stable and flexible CNC control system for the reasonable price. In short – control software (simCNC, Mach3, Mach4) installed on a PC is the brain and CSMIO/IP-S controller is the heart of the entire control system. 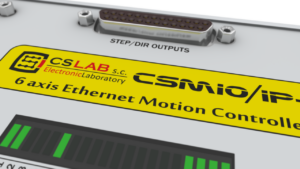 Control software (simCNC, Mach3, Mach4) changes gcodes into motion trajectory and sends it through the network connection to the CSMIO/IP-S. Basing on the trajectory the controller generates accurate step/dir signal for all axes. This division of tasks makes PC is less loaded. What are the main advantages of CSMIO/IP-S controller? 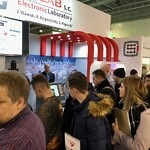 Operation Stability provided by connection with PC via Ethernet – its physical layer is galvanically isolated, used protocols provide reliable and fast transmission even in the tough industrial environment). Practically any other interfaces do not provide continuity and reliability of transmission on such high-level as ETHERNET. That is why it is currently the worldwide standard for high-speed digital communication. Easy installation – one of the most significant advantages of CSMIO/IP-S is the simplicity of installation. It does not require any external electronics for correct operation. Inputs/outputs signals are optically isolated, filtered, protected against short circuit, overheating, etc. 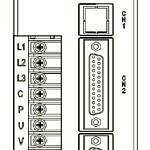 All signals are adapted to industry 24V standard. 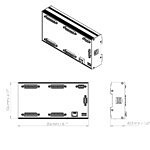 The device is enclosed in a compact housing, mounted on a DIN-rail, what makes mechanical and electronic installation in a control cabinet takes less time and is even more comfortable. 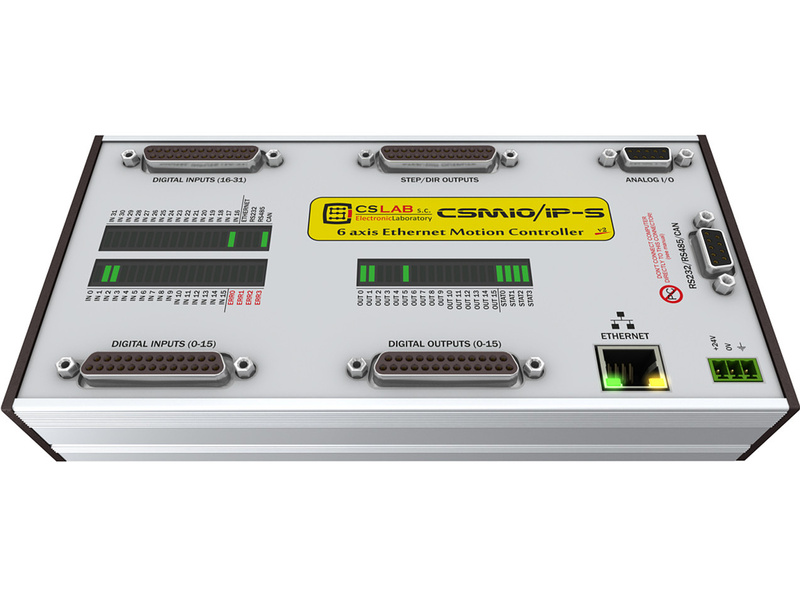 CSMIO/IP-S controller works with simCNC and Mach3/Mach4 software because of their low price, popularity and enormous capability to adapt to specific requirements. As for the control signal, it is the favorite step/direction (step/dir) standard. 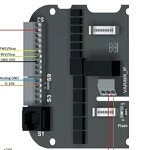 This way you can control both – stepper motor drives and the most modern servo drives. Thanks to the frequency of stop signal that reaches to 4MHz (Mach3) or 8MHz (simCNC, Mach4) you can take maximum advantage of stepper division in stepper motors the same reducing resonance and significantly improving the performance of a propulsion system. It also provides full advantage of encoders with a large number of pulses per rotation in servo drives and the same lets you to achieve such precision and speed, which previously were unavailable in this price sector. 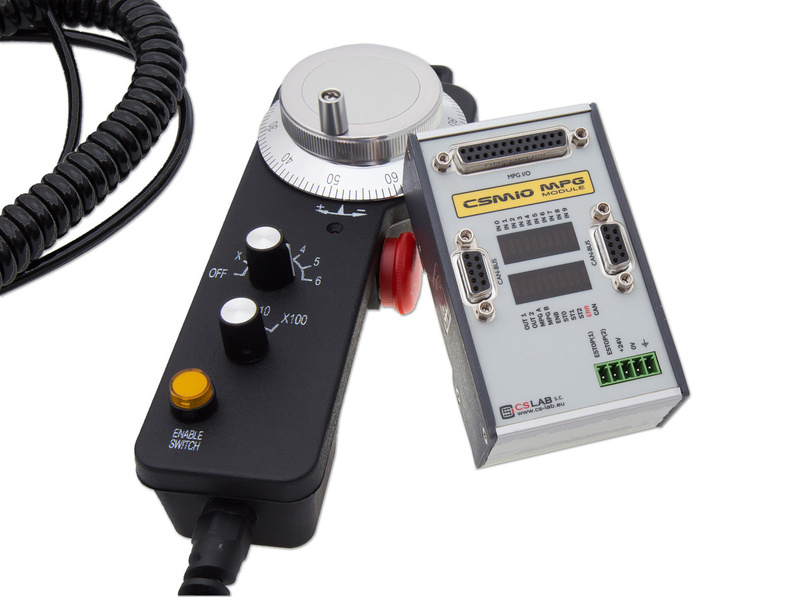 Step/dir signal – after the first run of a CNC machine equipped with the CSMIO/IP-S controller you will notice how smooth and precise is the work of your motors. It’s thanks to high-quality step/dir signal and data buffer which stores a small part of trajectory sent by control software (simCNC, Mach3, Mach4). 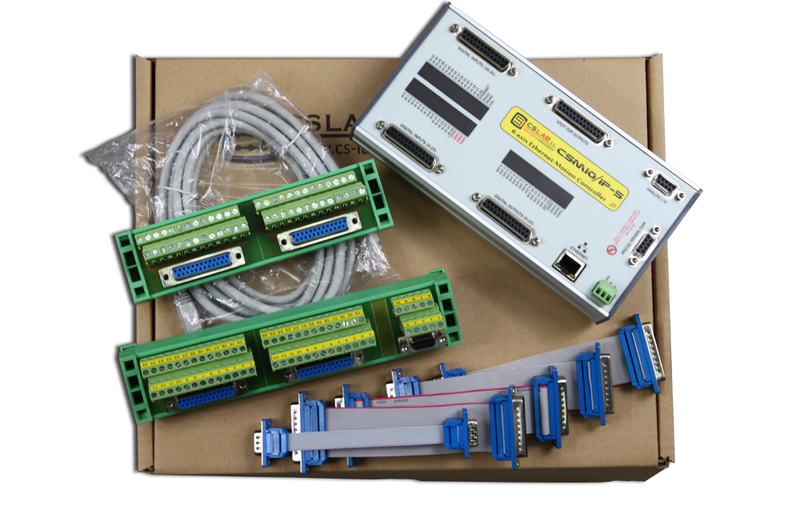 Data buffer – the mentioned trajectory buffer provides uninterrupted operation of a CNC machine, even in case of temporary problems with network connection or software control. Slave axis support – up to 3 slave axes support with gantry geometry correction. Safety system – the significant advantage of CSMIO/IP-S controller, is its safety system. 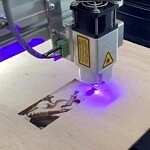 It constantly watches over the safety of a user and a machine. It consists of many independent algorithms and watchdogs which react very fast in case of forbidden or alarm situations. RESET support for axis drives. Support of FAULT signals from servo drives (immediate stop of a machine in case of any axis accident). 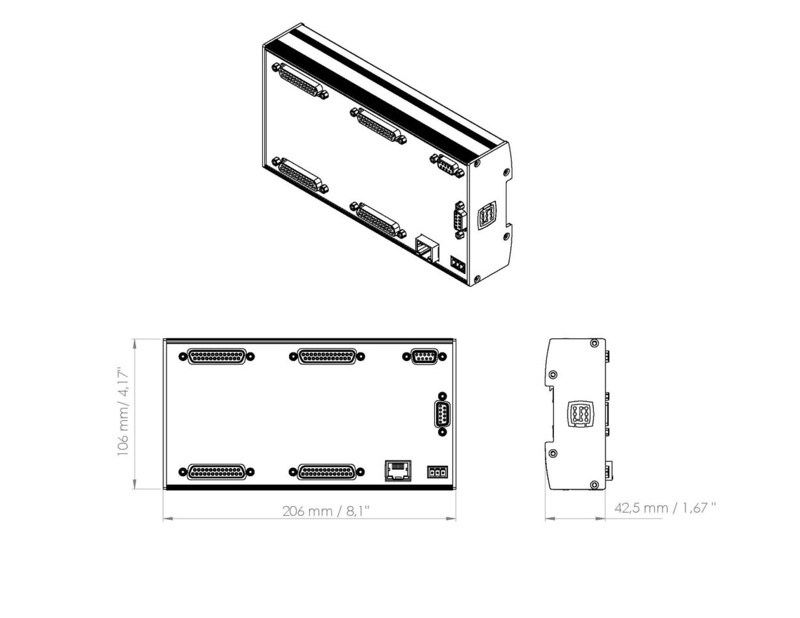 Solid aluminum housing, which dissipates heat and protects electronic circuits very well. Readable led controls on a front panel which make it easier to install and simplify diagnostics in case of any problems with switches or other external devices that cooperate with CSMIO/IP-S.
VB macros – you can control all digital and analog signals using macros. 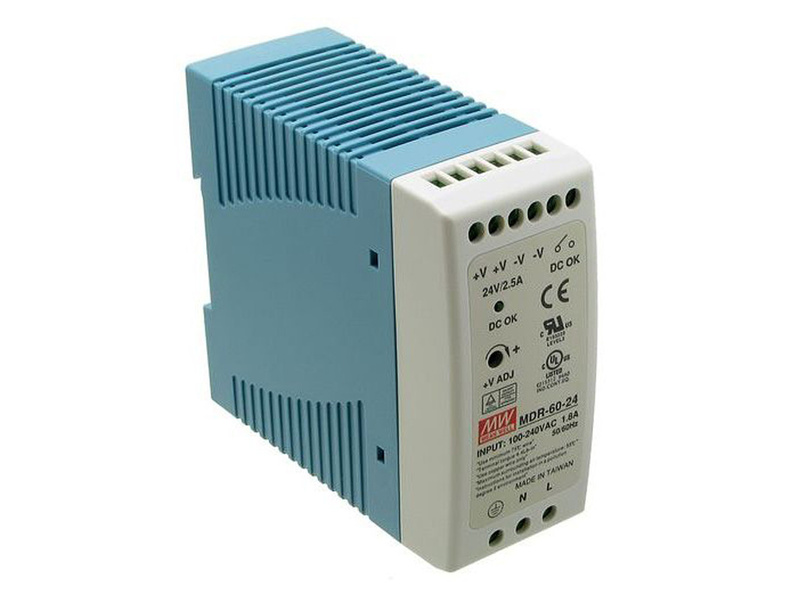 opto-isolated 24VDC digital outputs supported by specialized systems with protection against short-circuit and overload. 0-10V analog inputs used to connect potentiometers of spindle rotation speed correction and axis feed rate. 0-10V analog outputs used, i.e., for VFD control. 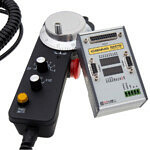 CSMIO-MPG – module for manual axes operation using handwheel encoder. Very smooth control of machine motion, automatic switching between speed and position modes. 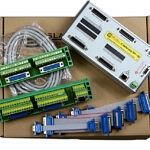 CSMIO-IO – module of additional 16 digital inputs and 8 digital outputs (24V, opto-isolation, overload protection). You can use up to 16 of these modules. 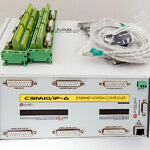 Housing of the CSMIO/IP-S controller and all the expansione modules is adapted to DIN 35mm rail mounting. Who is recommended to use CSMIO/IP-S controller? build very large machines equipped with riding gantry that requires two independent servo or stepper drives Master and Slave driving. Slave axis function provides software gantry geometry correction in case of minor inaccuracies in the construction or low rigidity of the gantry. plan to develop/expand their control system in the future with additional modules (threading, JOG- handwheel). CSMIO/IP-S can be successfully used with milling machines, lathes, routers, plasma or laser cutters. What's included in the CSMIO/IP-S box? The device works with simCNC software by CS-Lab and Mach3/Mach4 software by ArtSoft. The software requires a software license. 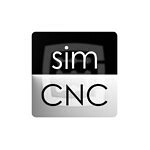 You can purchase the simCNC, Mach3/Mach4 software licenses in CS-Lab online store. Mach3/Mach4 software license also directly on ArtSoft website. CSMIO Firmware (plugin) version 2.910 (and earlier) is for Mach3 . In the DOWNLOAD section you will also find the new firmware v3.0 and its updates incl. 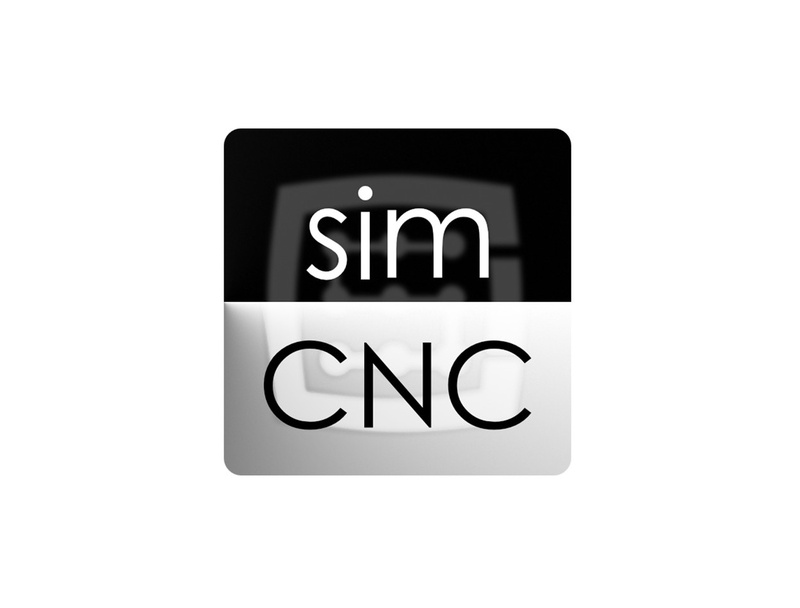 CSMIO/IP plugin for simCNC and Mach4. CSMIO/IP controllers without FP4 sign (the sign printed on a front panel of CSMIO controllers) can’t be used with the v. 3.0 and newer. All of CS-LAB’s controllers have a bootloader on board, so there is no risk of damaging the device after firmware update fails. The update is done using intuitive Firmware Update Utility, it does not require knowledge about the hardware. If a firmware update is available, you can download it from CS-Lab website. 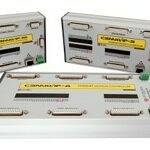 *CSMIO controllers were designed to work with simCNC, Mach3/Mach4 software. We do not guarantee proper work with third-party plugins/add-ons/etc.